I still have a nice store of blackberries in the freezer that I’m enjoying adding to things all the time. There’s still plenty more on the bushes in the garden, but I think I’ll bypass my greedy urges and leave those for the birds! I have always been one to fall weak to almond desserts. Growing up, I remember snacking on dutch almond fingers with my mum and siblings on the way home from school. We all adored them and now, all fall for any almondy offering. I also had a soft spot for almond filled croissants. Of course, now dutch almond fingers and croissants are off the menu for me, but I still physically need that marzipan fix in order for my body to function in a healthy state of homeostasis! When I came across these pancakes at Fried Tofu, I just knew I could have an hour, just me and my almond pancakes, to forget about the world. These pancakes are sweet. For me, they are definitely a dessert pancake over a breakfast pancake! The berries are so necessary, they compliment the sweetness so well with their slightly tart edge and just make the whole experience complete. You can, of course, use other fruits like raspberries or cherries. Notes: I didn’t include the almond extract in my pancakes as store-bought marzipan has a strong enough almond flavour alone. If using homemade almond paste like the original recipe, you may want to add some to boost the almond flavour! Also, due to the textural difference between almond paste and marzipan, I chose to grate the marzipan into the batter instead of attempting to melt it and stir in which doesn’t really work. If you choose to use almond paste, warm it and stir into the batter at the end. Whisk together the flour, baking powder and salt in a large mixing bowl. Add the almond milk and oil to the flour mixture and stir to combine. Stir in the grated marzipan or warmed almond paste. Preheat griddle over medium-low heat. 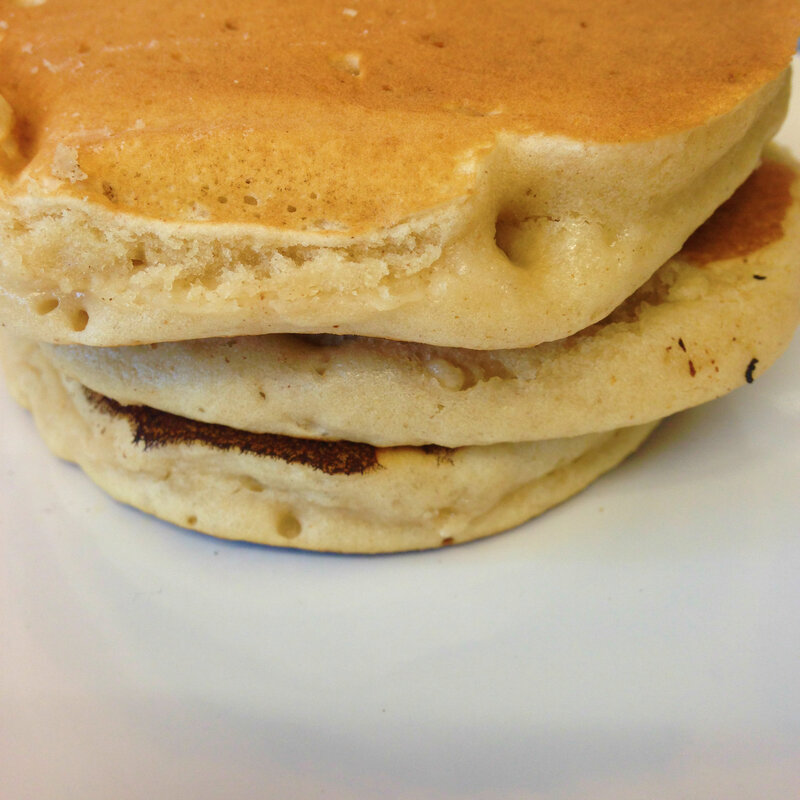 Using a 1/4 cup measuring cup, scoop batter onto griddle and cook for about 1-2 minutes on each side until golden brown. Flip carefully, as they are a little fragile before they are fully cooked! Serve drizzled the blackberry syrup and a scatter of fresh berries to contrast. 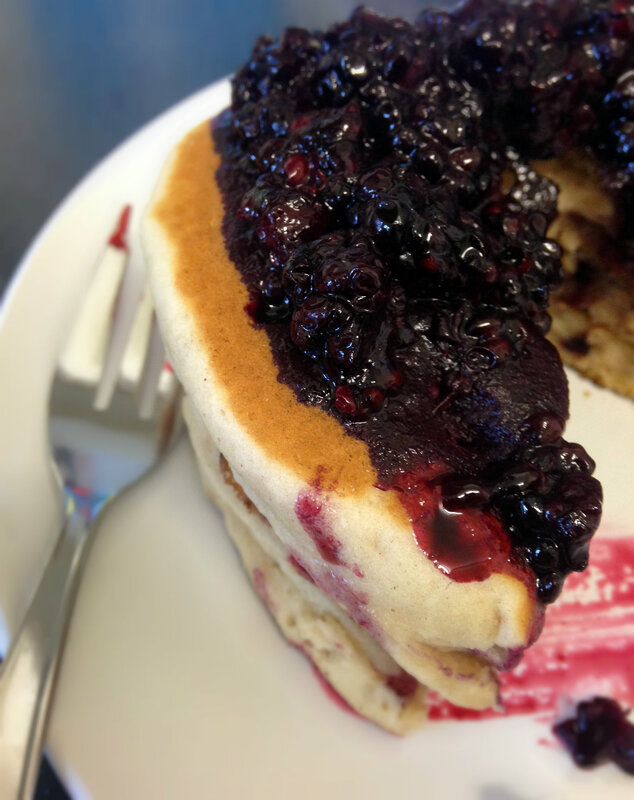 This entry was posted in Desserts, Egg-free, Fruit, pancakes, vegan, Vegetarian and tagged almond, baking, blackberry, dairy free, dessert, egg-free, Pancakes, vegan, vegetarian. Bookmark the permalink. Inspired. 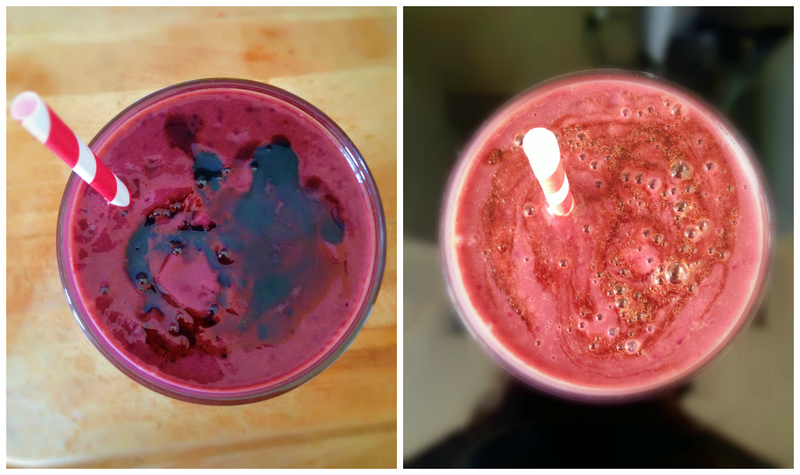 I adore almond milk, marzipan and blackberries – but had never thought to combine them. Lovely. Seriously why do I never make pancakes? Oh my gosh, you need to make pancakes!!! Yes, yes, yes, I love the idea of putting marzipan in pancakes, definitely going to add almond pancakes to my brunch menu. Are these more dense in texture because of the marzipan? They look delicious. 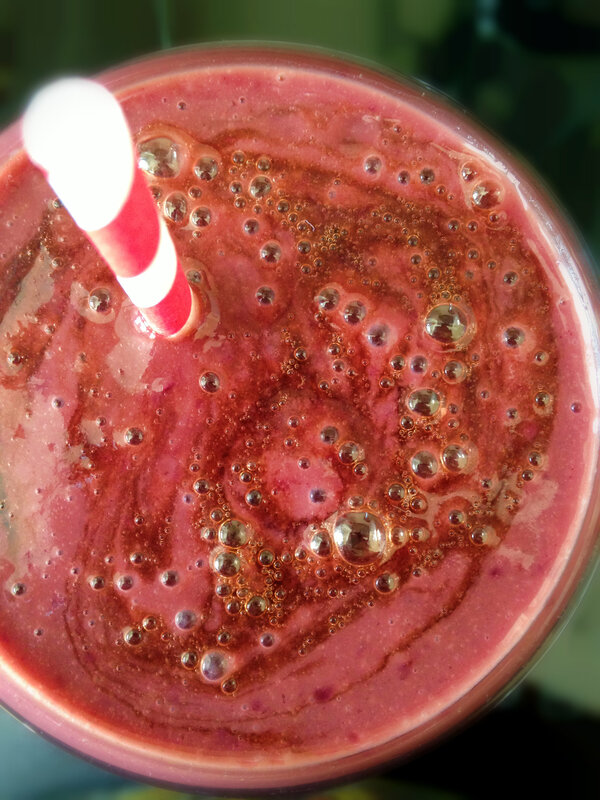 What a great combination of almonds and berries. Those look fabulous! I also fondly remember almond croissants, although you can get a pretty good result with ready-made puff pastry. Oh my goodness these look to die for! 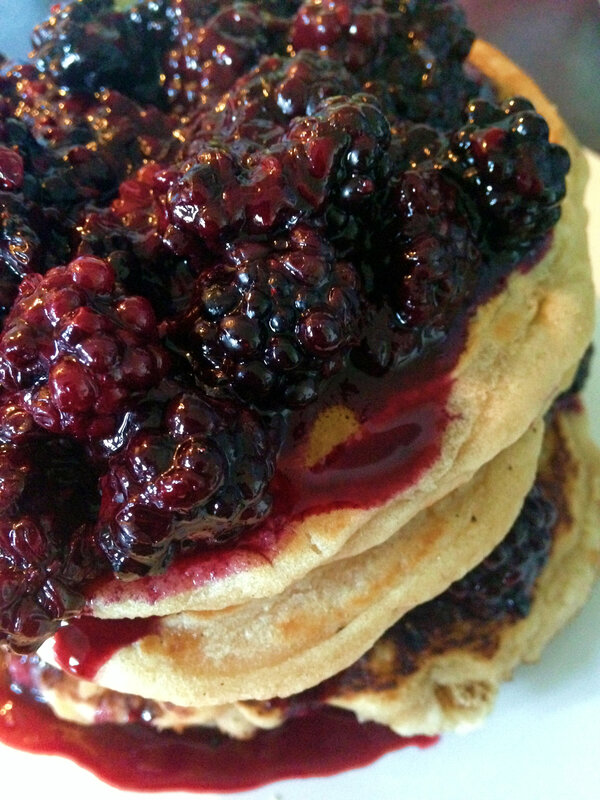 I love berries on pancakes instead of overly sweet syrup! And vegan too 🙂 Must give these a try! Thank you so much! 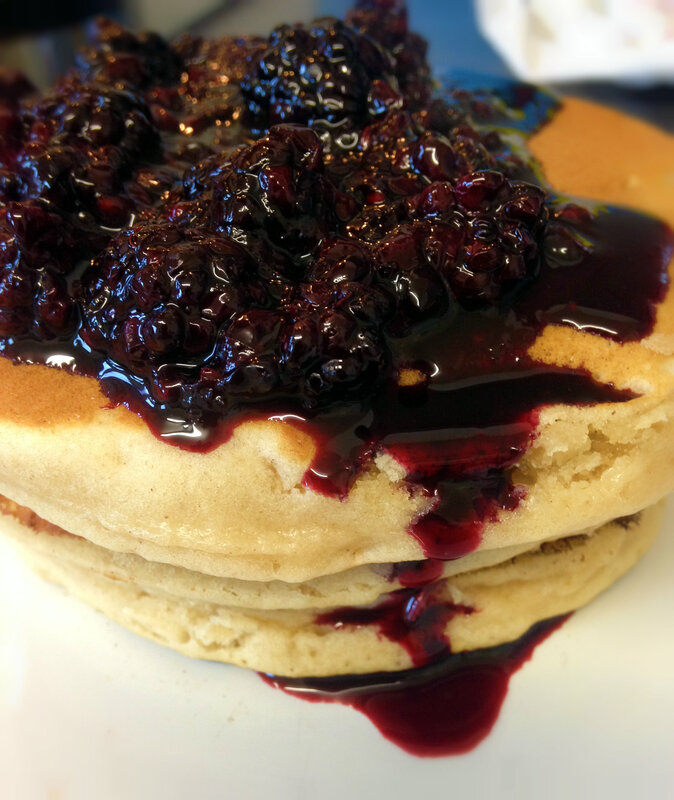 Yes I agree about the berries over syrup! I always did it as the ‘norm’ but all you could ever taste was the syrup! 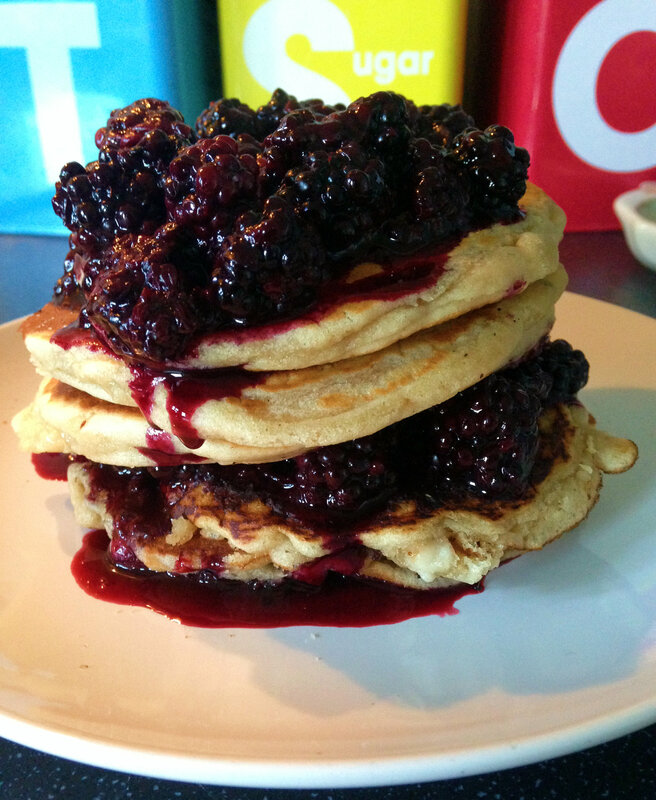 With berries, they compliment the flavour of the pancake instead of overtaking it! These look heavenly! Pancakes always seem like more of a dessert to me. Love everything about this post. 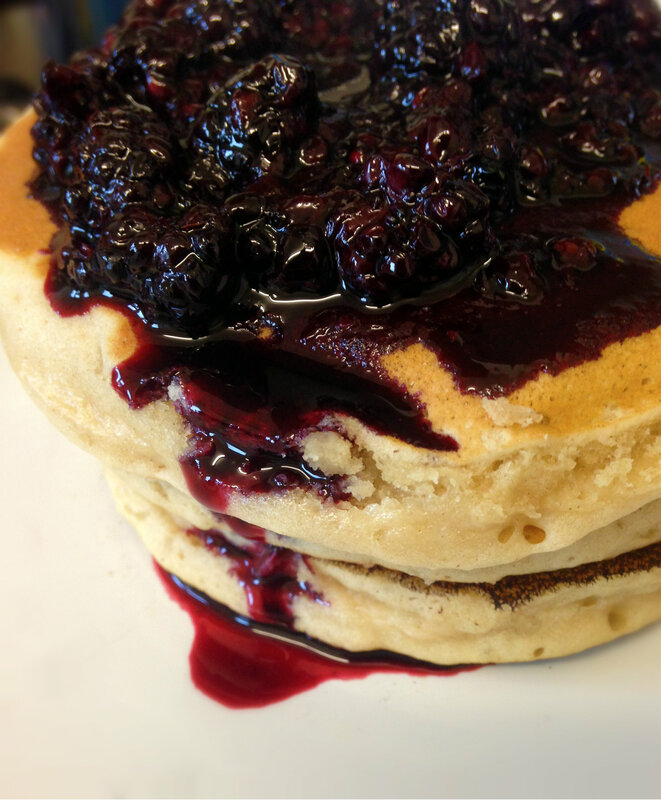 Such gorgeous pancakes. Thank you for posting. Thank you so much Janet. Always a pleasure to hear from you! These look amazing! And this is coming from someone who only has a tiny sweet-tooth! So decadently good! 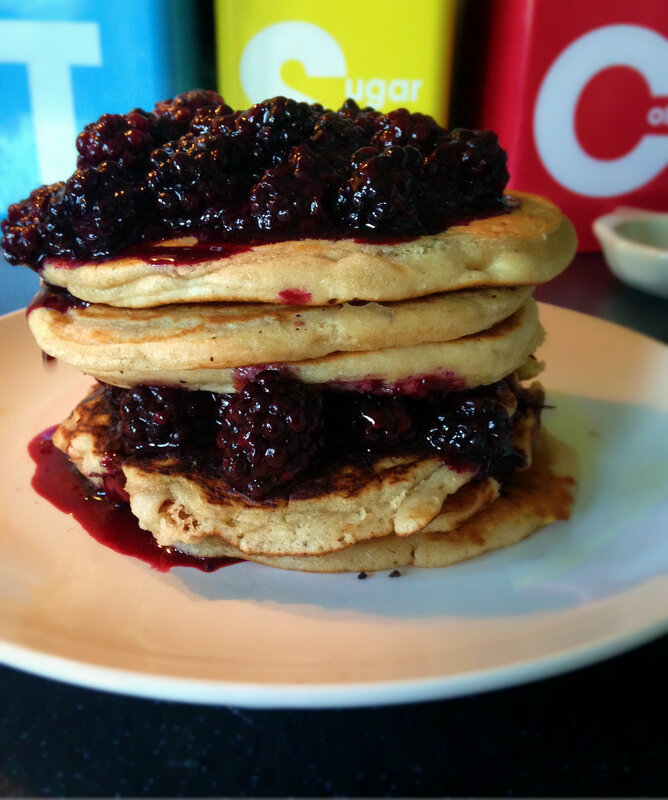 Pancakes for dessert, yes please! Thanks so much, Poppy – it was time for a photo change :-)! yum, looks so delicious ! Pictures are gorgeous – everything looks amazing! Yum! you had me at marzipan!!! you are awesome!! we changed the site, make sure you follow the new one if you feel like it! Whats the link for your new site? Oh yum these look so tasty! Poppy – these look amazing!! You’re welcome, thank you for the shake recipe! I’ve found it’s very adaptable! marzipan and pancakes-what a brilliant idea!